JSP technology is used to create web application just like Servlet technology. It can be thought of as an extension to Servlet because it provides more functionality than servlet such as expression language, JSTL, etc. JSP technology is the extension to Servlet technology. We can use all the features of the Servlet in JSP. In addition to, we can use implicit objects, predefined tags, expression language and Custom tags in JSP, that makes JSP development easy. JSP can be easily managed because we can easily separate our business logic with presentation logic. In Servlet technology, we mix our business logic with the presentation logic. In JSP, we can use many tags such as action tags, JSTL, custom tags, etc. that reduces the code. Moreover, we can use EL, implicit objects, etc. Initialization ( the container invokes jspInit() method). Request processing ( the container invokes _jspService() method). Destroy ( the container invokes jspDestroy() method). Note: jspInit(), _jspService() and jspDestroy() are the life cycle methods of JSP. As depicted in the above diagram, JSP page is translated into Servlet by the help of JSP translator. 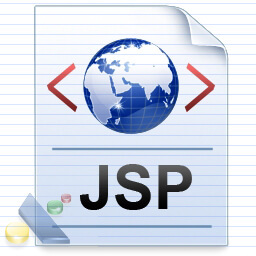 The JSP translator is a part of the web server which is responsible for translating the JSP page into Servlet. After that, Servlet page is compiled by the compiler and gets converted into the class file. Moreover, all the processes that happen in Servlet are performed on JSP later like initialization, committing response to the browser and destroy. To create the first JSP page, write some HTML code as given below, and save it by .jsp extension. We have saved this file as index.jsp. Put it in a folder and paste the folder in the web-apps directory in apache tomcat to run the JSP page. Let's see the simple example of JSP where we are using the scriptlet tag to put Java code in the JSP page. We will learn scriptlet tag later. It will print 10 on the browser. How to run a simple JSP Page? Do I need to follow the directory structure to run a simple JSP? No, there is no need of directory structure if you don't have class files or TLD files. For example, put JSP files in a folder directly and deploy that folder. It will be running fine. However, if you are using Bean class, Servlet or TLD file, the directory structure is required. The directory structure of JSP page is same as Servlet. We contain the JSP page outside the WEB-INF folder or in any directory.